After we have rocked the stage at the European Championships of the United Dance Organization in may and proudly took home the third place, our next goal is the World Championship 2018 in Glasgow. The preparations has already started: The 80-days-countdown to the World Championships is running. Since so many exciting things are coming up in the next months, we wanted to take you with us and give you some insights of our preparation time. There are now exactly 80 days left until our exciting journey starts and there is still a lot to do. Although we have a turbulent and stressfull summer with many great performances in June and July, we obviously have to focus on the new show as well. After the premiere of our new show at the Europeans in Kalkar, we spent a lot of time analyzing our stage performance. Even anaylzing the smallest details are very important for us, because our goal is to level up our performance at the Worlds. So we will use the next few weeks to implement all sorts of small, but also major changes. Therefore we need some time to experiment to slowly but surely find out, which changes can be done. This is always a highlight in our rehearsals, because everyone gets the chance to throw in some ideas for new types of acrobatics, formations or transitions. Our creative mind, choreographer and coach Ece Bas, has big plans with us: until the summer holidays we will work on the execution and cleanliness of the choreography until every step is perfect. Above all, the performance is the most important, if we want to convince all Judges in August. 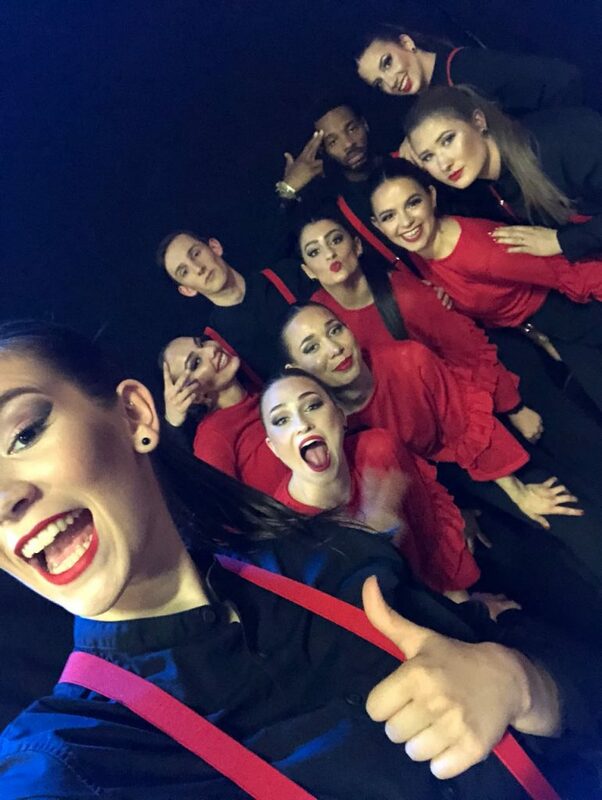 As some of you may have already seen on our social media, this year Ece created a show based on the salsa groove and our show was inspired by Latin American dances and music. Hereby we need to say that just dancing the salsa steps is not enough. You have to feel the passion and love them. This is one of the biggest challenges for the crew. In order to develop ourselves, our knowledge of the Latin dances and to study the special feeling of Salsa, we will take salsa classes and go out and train in the clubs several times a month until the competition in August. At the same time, however, we must always work on our strength and condition. Therefore, our rehearsals include running and a full body strenght workout. As you can see, we have set quite a few goals on the imaginary to-do list and can not wait to finally get started and show you what we have done. More about our rehearsals and our next big steps towards the 2018 World Championships will be online soon. We will continue to take you with us on our journey in the upcoming weeks. We can not wait to share with you our exciting, funny and emotional impressions from our ACIM everyday life – stay tuned!